Buckle up and hold on tight for an unforgettable 40-minute ride through the mighty Kawarau Gorge, expect narrow canyons, huge spins, top speeds and white water. 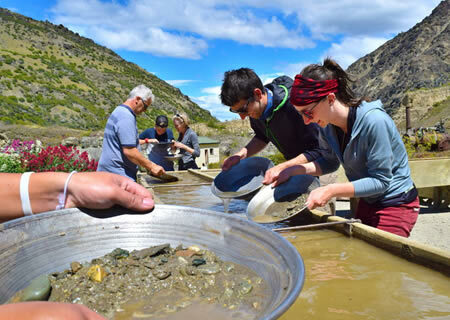 Once you come down from your adrenaline high, take a short stroll around the Goldfields Mining Centre including a 1 hour guided tour, enjoy scenic walks and try your luck at gold panning! Adults $209 | Children (under 14 years) $109. Allow 3 hours minimum. After the massive thrills of a 40-minute jet boat adventure, take a more leisurely, informative cruise downstream to the Carrick Winery for a sophisticated lunchtime experience. 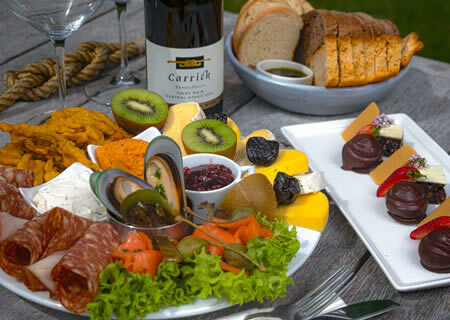 In the picturesque Bannockburn Inlet, surrounded by contemporary New Zealand art, you will sample 4 wines before indulging in a shared platter from the innovative Carrick Restaurant who host some of the most stunning views in Central Otago. Adults $229 | Children $119. Allow 4 hours minimum. 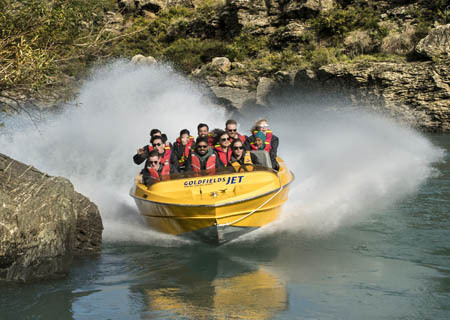 This package is the ultimate Kawarau Gorge experience. Get your pulse racing on a 40 minute jet boat trip before visiting the Goldfields Mining Centre for a guided tour and see the original tunnels, mine shafts, water races and dams built by the early miners. Next, a gentle cruise down the river to the stunning Carrick Winery where you will relax and enjoy iconic South Island views while tasting sophisticated Central Otago food and wine (platters only).